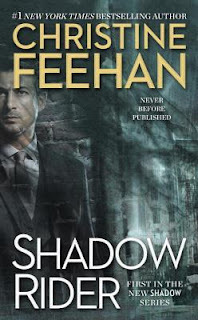 I keep seeing books by CFeehan that catch my interest, but they're always like #100 in the series ;) So I think I'll have to grab this one when it comes out since it's a brand new series! I'm that way, too. I like to start with book 1 of a series. Nice! Yeah, I gotta start at book 1 in a series too! Even if "it doesn't matter what order you read them in", I always gotta read in order! LOL! It sounds great! It is a new one for me and I am definitely interested in it so thanks for sharing! :) Thanks for stopping by Priyanka! I know, right? She's a popular one! Its smart to read her with book #1---she does have quite a few books out there. I am looking forward to this one and seeing something new from her. I feel like the series of hers that I do want to read are all in the high 10's or even in the 20's @_@ Hope we love this one!! The shadow rider concept is definitely interesting! I feel the same way when I see a series so far along. I have to start it when I have time to read a few at a time. 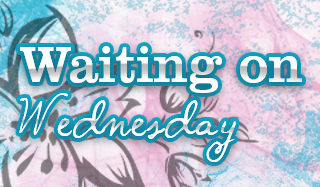 It's so hard to catch up on some of these series with a ton of books out. So glad this is book 1! I've still not tried her and gah yeah she's got some lengthy ones! Okay. Now you have me curious too. And I like the feel of the cover to go with the shadow idea.